Christmas is a time for giving…. But if you think this post is going to be all sell, sell, sell, you’re wrong. You know where I am, you know what I do and I am ready to talk when you are. Until then, let me tell you about a charity that has touched my heart. I heard the founder of Bloody Good Period talk on Reni Eddo-Lodge’s amazing podcast “About Race” (a bloody good listen, and I strongly recommend her book as well (affiliate link to book). The podcast episode featuring Bloody Good Period really struck a chord with me. As someone who has had to rely on charity before, I loved that Bloody Good found it important to listen to what people actually wanted and needed rather than just handing out products that were cheap, uncomfortable or just not practical to use for many displaced women. I’ve now bought a reusable cup which is great for me, but many women have neither the confidence nor the privacy to use these products. I have lived with shared mixed gender bathrooms and communal eating and cooking facilities and this is not the kind of environment that reusables are suitable for. 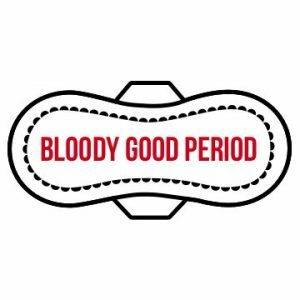 Bloody Good Period ask women what they want and provide it. This alone is revolutionary for providers of support services for vulnerable women. It made me feel very happy that there are good people out there who will listen and not judge. So, this Christmas, for every sale, I hereby pledge to buy something from the Bloody Good Period’s Amazon wishlist. Even if you don’t fancy buying anything I sell, you can get involved and make a difference by buying a one-off gift for people who can’t afford period supplies or even subscribing and donating something on a regular basis. Check their how to donate page. So instead of buying cards that use trees and end up in the recycling bin two weeks later, why not use that cash to help ladies be a bit more comfortable this festive season?